This course is suitable to all levels of employees who want to enhance their digital marketing skill in order to help businesses growing in the digital world. These include SME business owner, copywriter, digital marketers, business development, social media, public relations, branding, sales representative, and content marketer. Google is known as the biggest search engine in the world with more than 5 billion searches daily. This platform serves more than 5 million businesses globally to reach their customer at anytime and anywhere! With billions of searches daily on Google, your customer is looking for your services and products all the time. However, often businesses are ignoring the already available demand on Google because of the lack of knowledge and skills on Google AdWords advertising. The objective of this training is to help the participants with the necessary knowledge and skills by using various learning methods in order for them to be able to execute Google advertising campaigns based on the company goals or business nature. 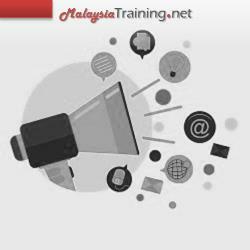 All participants are required to bring along their laptop as this is a hands-on training. It is advisable to bring laptop installed with Google Chrome.